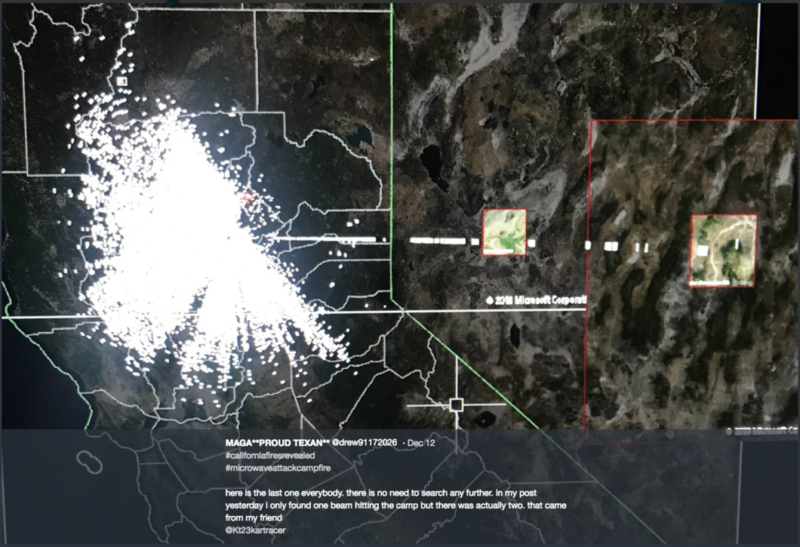 *MPT has done a superb job of capturing the incriminating satellite imagery which proves conclusively what took place in Northern California to start the devastating Camp Fire. This evidence alone is strong enough to issue a citizen’s indictment against a whole host of characters who were deeply involved in the genocide at Paradise, CA. His extraordinary efforts are a great example of what a courageous citizen journalist and smart forensic investigator can do. The irrefutable hard evidence MPT found has the potential to lock up the perps up and down the whole chain of command. Since such a crime spree inevitably involved a vast criminal conspiracy at the federal, state, county and city levels, the ongoing cover-up will assist with the identification of each individual and institutional perpetrator. 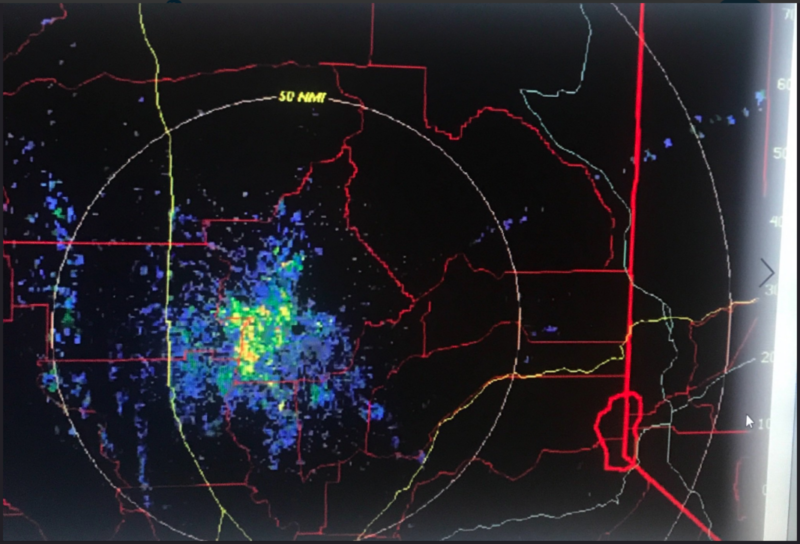 SOTN Editor’s Note: Proof has been presented via the hard scientific evidence provided by Nexrad Radar, Autocad Civil 3D, Modis 6 and VIIRS (Visible Infrared Imaging Radiometer Suite) satellite hot-spot data that microwaves produced from 3 GWEN stations were utilized to greatly exacerbate California’s devastating Camp Fire. 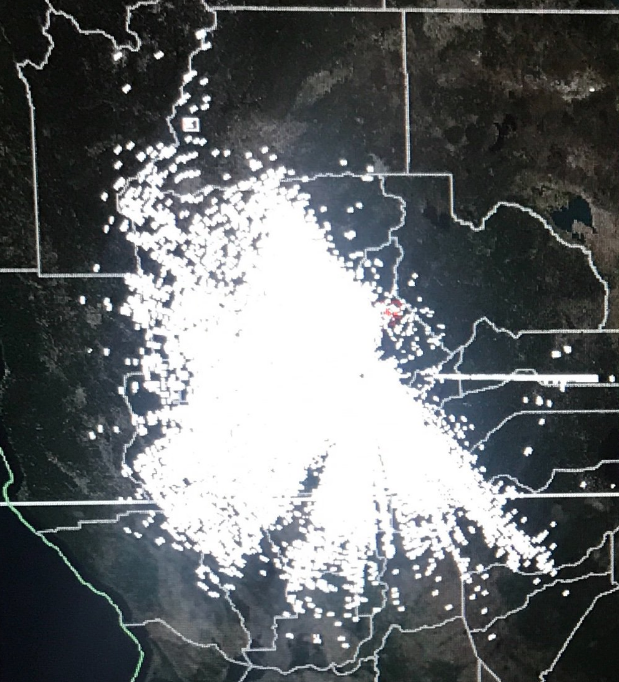 What follows are 2 screenshots showing the cluster of microwaves that were transmitted throughout the exact area where the Camp Fire exploded. 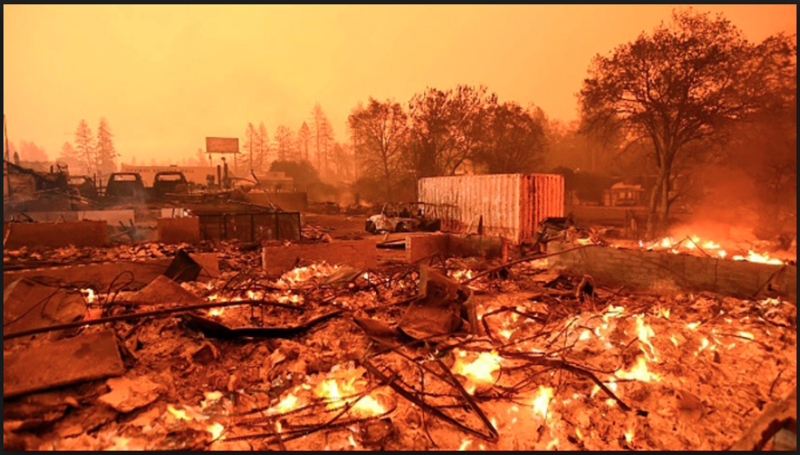 Now here’s a real-time video of the Camp Fire getting hit by microwaves just as the fire was getting started and spreading. Pay special attention to the blips on the screen that occur in the northwest quadrant of the screen which are surreptitiously emanating from one of the GWEN stations. Now here’s the satellite imagery that captured the microwave blast from the GWEN Station in Appleton, Washington. Note the distinct vector of microwave dissemination coming from due north for a direct hit on Paradise CA. GWEN Stations actually have many applications as the following excerpt explains, especially for controlling the weather. even though its being used for evil, this is not some kind of dark force which cant be fought back against. 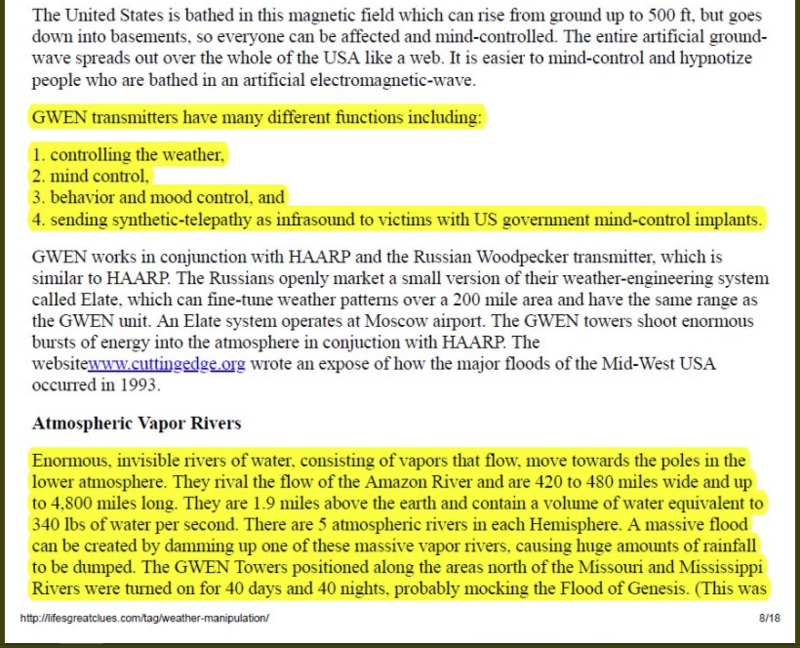 its all happening thru the laws of man & nature which means we have the ability to do something about it. 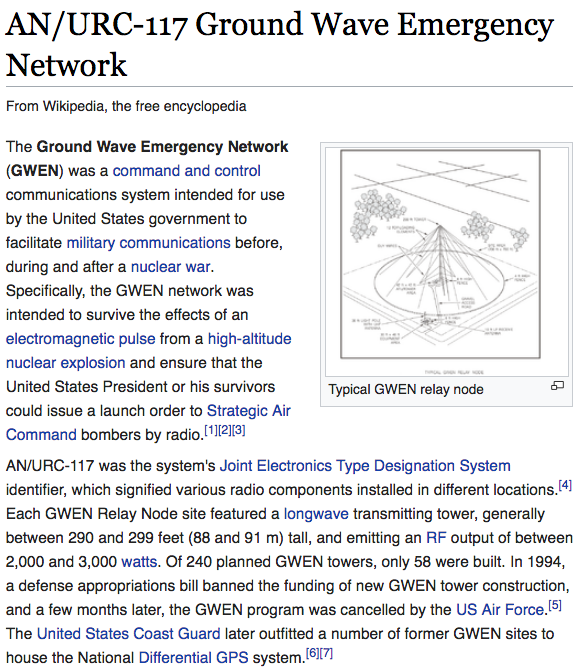 The following screenshot from Wikipedia offers some very relevant history of GWEN military technology (AN/URC-117 Ground Wave Emergency Network). Notice the straight line diagonal from the upper left to the lower right in the first image below. There are other frequency signatures that stand out which serve as categorical evidence of an obvious directed energy attack. This kind of phenomenon does NOT exist in nature and can only be explained as a manmade event using highly advanced military technology. @Kt23kartracer we were right buddy. i know what the blue lights are. notice where they appear and the angle. 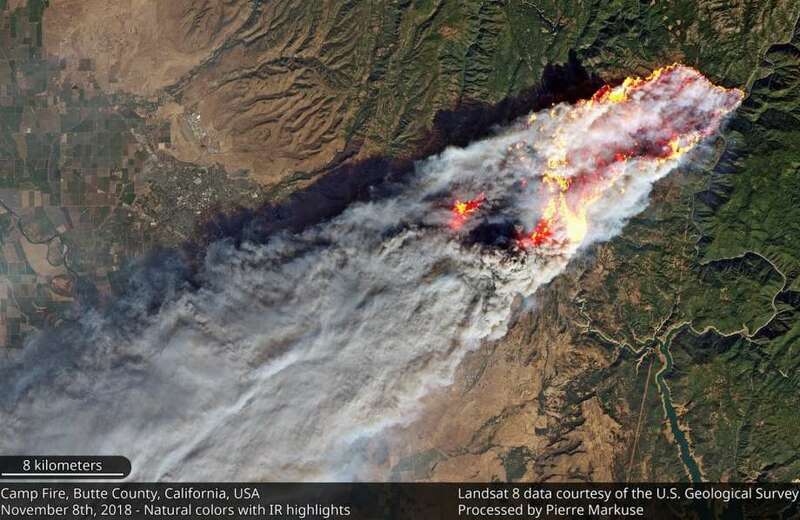 What follows are the exact timestamp comparisons between the developing Camp Fire via satellite imagery and the GWEN Station transmissions that fueled these engineered fires. Please click on each of the 5 screenshots to enlarge or go the “Addendum” below to see the critical data in even greater detail. While the foregoing presentation is only a preliminary news report, the conclusive proof provided herein represents a complex and convoluted crime spree committed against the American people. The degree of power and influence necessary to carry out such a deadly and destructive crime wave goes way above even the Very Deep State, the hidden hierarchy that exerts total command and control over the notorious Deep State. Therefore, the proper prosecution of these “crimes against humanity” committed throughout California during November of 2018 holds the possibility of taking down the entire World Shadow Government and its ubiquitous Global Control Matrix. In light of this urgent and weighty task, SOTN respectfully requests that every reader circulate this radioactive report as quickly and widely as possible. We’ve got ’em this time! The New World Order globalist cabal really screwed up in California and it will come back to BURN them—BIG TIME! To follow more technical developments of this criminal case, please go to https://twitter.com/drew91172026. Another excellent reference site for these DEW black operations is this trustworthy YouTube channel: https://www.youtube.com/channel/UCxHTJnQ8yqA3rjDwLemtAKA?app=desktop. What follows is just one of many informative videos created by Mike Morales. *Additional evidence will be linked in this section as soon as it is uploaded by the California crime scene investigators.